Lets face it, an organised shed is definitely a more inviting structure, than one that is simply a complete mess. And it really isn’t that hard to organise your new steel structure. In fact, shed organisation will not only help you keep track of all your times, but also help you to really maximise your storage space. Here’s some handy tips on how to organise your new garden shed. Shelving space is one of the best and most affordable ways to store your items in a neat and organised fashion. Spanbilt Direct have a number of shelving options – to help you keep your delicate equipment and dangerous chemicals out of reach, and your to systematically keep your accessories organised. This is taking organisation to the next level! Like to have a place for all your tools? Then create a tool wall with a slat of timber, and transfer your tool arrangement with the clever use of hooks, brackets and nails. For next level organisation, use a black marker to outline each tool, than way you’ll be reminded exactly where it goes when you have to put it away. Anyone who loves their tools understands the need for a pegboard. Simply purchase your pegboard panels from any hardware store. 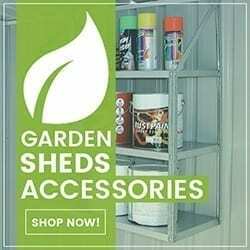 Select a place on your shed wall to hang, and then using hanging tools, hooks or shelves, carefully organise your tools using this flexible storage solution. 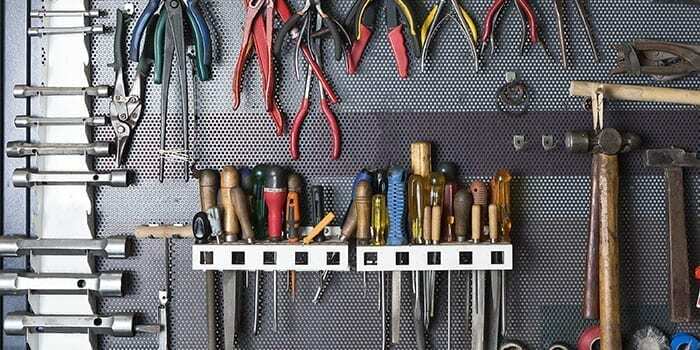 Best of all, your pegboard will grow with your tool collection. Wall mounts are great for hanging bikes, surfboards and other sports or gardening equipment on the walls. 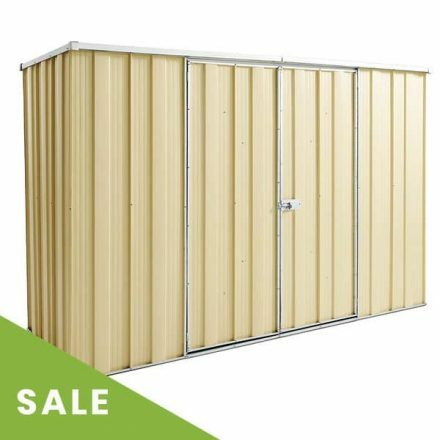 Not only will it help to clear space in your shed, but it will also help you better locate your assets, not to mention absolutely maximise the space in your shed. If you are planning on keeping gardening tools in your garden shed, then make sure to invest in a shovel rack. These nifty little devices are a great way to ensure you don’t get a bang on the head from a poorly placed long-handled tool. Not to mention, you’ll easily be able to find what you are looking for – such as brooms, shovel, spades, forks, hoes etc. 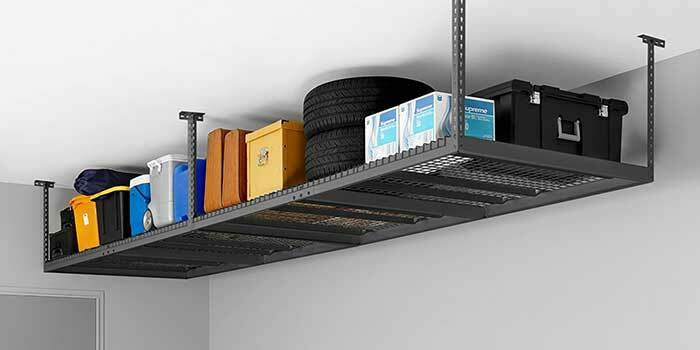 Maximise the space in your larger workshops or garages with overhead storage. These storage solutions are a great way to help you get the most out of your steel structure. 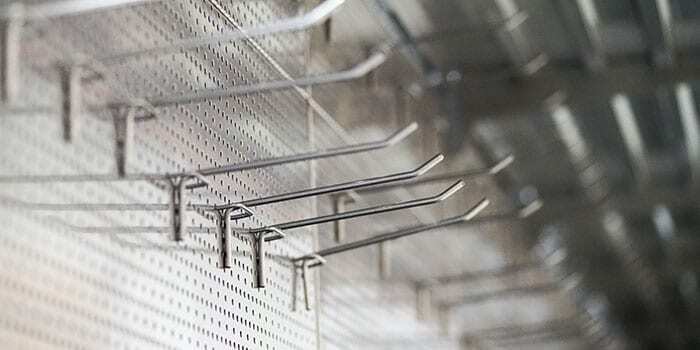 Whether they be ceiling racks or shelves, you can secure the items you don’t use as regularly. 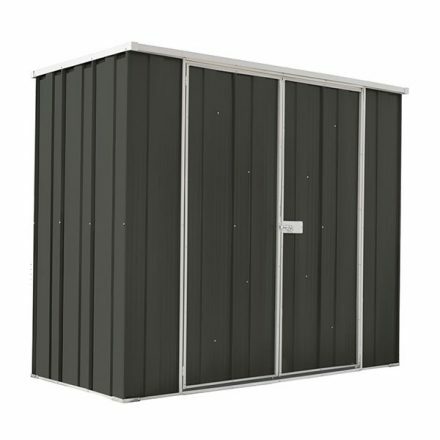 Create Zones for inside your shed. 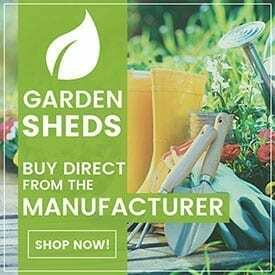 This is great advice for those looking at purchasing a larger garden shed, workshop or garage. Zone your shed and keep all the relevant tools together. Place gardening equipment in one section, sports and recreation in another and of course, car and mechanical products in another. 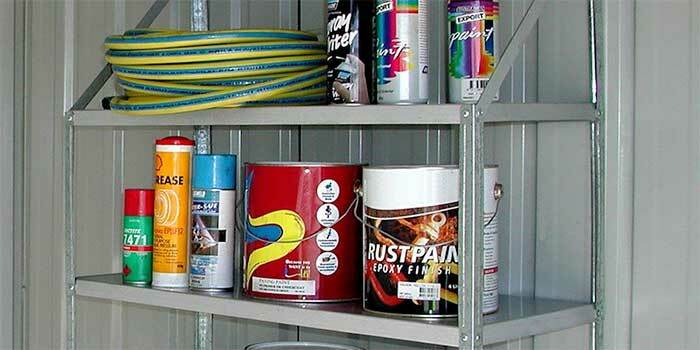 Organising your shed will ensure you can easily locate whatever tools or equipment you need. Additionally, a clean shed will reduce the chance of having little nasties hiding in your space. In need of a garden shed? 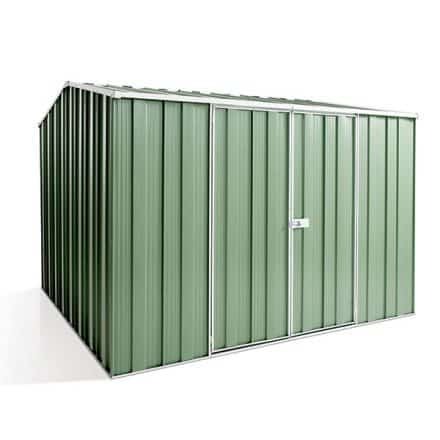 Check out Spanbilt Direct’s range of garden sheds today.